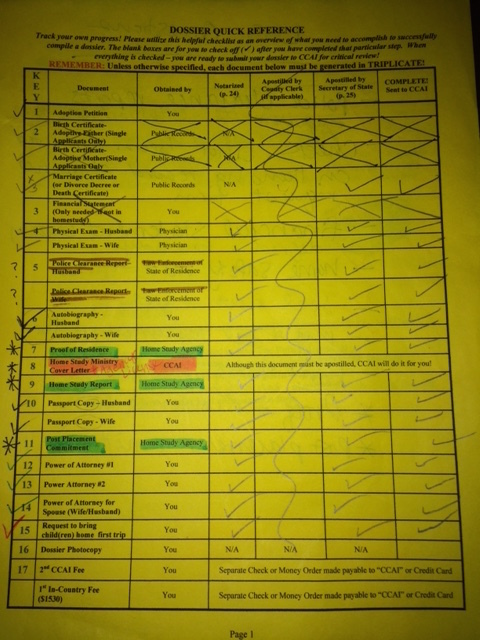 When I started this process I had NO IDEA what I was really getting myself into with regards to the paperwork. 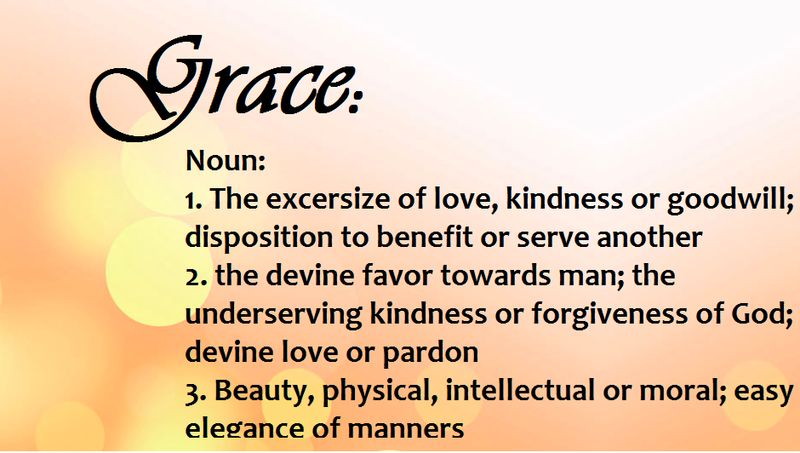 In fact, I didn’t even KNOW some of the terms that were being thrown around! Thankfully, I have had the most loving, compassionate people take me by the hand and walk me through the very arduous process. It has truly been nothing less than a paper chase. Let’s start with the in-country paperwork that is required. The homestudy is done here in the US, and I remember being advised to find someone you like and trust to do the homestudy because when it’s all said and done, that social worker would know more about our family than anyone else. That was a little intimidating! Since we live in a small town and are required to use a Hague Convention accredited agency, it left one choice. Thankfully, our homestudy caseworker was amazingly wonderful and immediately put me at ease. She quickly sent a stack of papers to complete to *begin* the process. There were initial applications, medical clearance forms for us and our children and personal reference forms for employers, friends, family, and our pastor. She needed a complete listing of every address for both Joel and I, from the age of 18 years and on (that was a hard one!) so background checks could be processed in each location. She really wanted to know EVERYTHING! There were PAGES of questions, very detailed, intimate questions. We had to write a 3-4 paged, typed, autobiography of each of our lives. Financial statements, employment forms, and insurance verifications all were submitted. 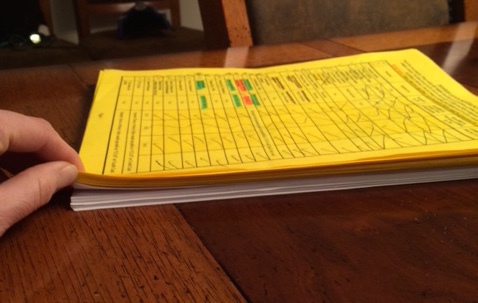 And then there were assessments, online and on paper. Once the homestudy paperwork was completed, our lovely caseworker came to visit. She told me that her first visit would just be an “introduction”. I thought it would be short and sweet. HA! It lasted three hours and entailed a complete tour of the home, which I was completely UNPREPARED for! Of course I had picked up the common areas and the house was pretty clean, but….my bedroom?! You know, the last room of the house to ever be cleaned because no one goes in there but you? And that day, of all days, it was the worst it had been in years! SERIOUSLY! The bed was unmade. There was dirty laundry on the floor, clean laundry thrown on the bed, as well as the vacuum cleaner and Halloween bins that had been hastily shoved in there to get them out of the way. There were children’s books and blocks strewn across the floor and the bathroom vanity was littered with papers, books, and miscellaneous stuff (why do Legos , cars and marbles always find their way into my bathroom?) I was SO EMBARRASSED! I quickly said, “Oh, I didn’t realize you were going to be touring today, ha ha ha!” Then as we walked toward the bedroom, I apologized profusely for the messiness. I thought, “well, here it is, this is how we really live!” She was quite graceful and told us how she is more concerned when she goes into a house that has everything perfectly in its place – thank goodness! She came for a few more, quite long visits, to ask endless questions of me, my husband, and our children, and then she began her own long process of writing our 15 page homestudy. And THEN, after allllllll of that paper collecting, I had a stack of papers that looked like this. You would think that I would be done, right? Wrong! Now every single original document, in triplicate, needed to be notarized and then apostilled. I learned another new word! Basically, this is a way for Hague Convention countries to “easily” certify official documents and have them accepted in other convention countries. We were very fortunate that our Secretary of State allows us to walk in and apostille documents on the spot, for only $1 per document (which is MUCH easier and cheaper than many other places). Thank goodness, because we had 65 documents that needed to be apostilled! 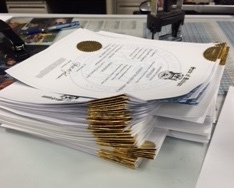 The Secretary of State verifies the notary’s signature on the documents and then “seals” them by adding a cover page with the appropriate information, a fancy gold seal on the bottom as well as another gold seal folded over the top of the paper(s). WHEW! 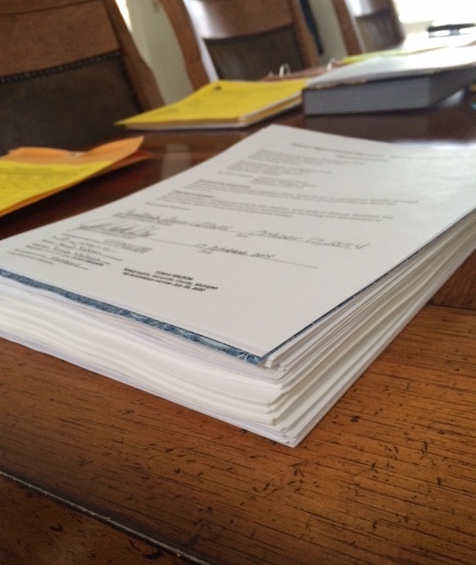 So once THAT was finally finished, I had an immense stack of papers (I just added 65 more pages to the stack with the cover sheets from the Secretary of State). Can I just say, that is the most beautiful stack of papers I have ever laid eyes on?! I could have cried. Okay, I did cry. I can’t even explain the feeling I had as that last seal was placed on those papers. Such a relief. Such a release. Such anticipation for being one step closer to bringing our children home forever. THANK YOU GOD!